I volunteer for the Red Cross of Southeastern Pennsylvania. I am not trained in Emergency Services. I am not an instructor in swimming or First Aid. I cannot drive an ERV (The acronym for Emergency Response Vehicle, a Red Cross response truck). I do not ever deploy in the middle of the night to scenes of fire and flood. Nevertheless, I make my contribution. I take in information at the speed of sound. My fingers are a blur at a keyboard. I am here to tell the world what we do, why we do it and how it is absolutely essential to a just and humane society. A short perusal of my file in the Volunteer folder of our hard drive reveals that, since becoming a volunteer, I have written 34 blogs, 26 news articles, 10 storyboards and countless news releases. Some of my favorite pieces are about the history of the Red Cross – I did one on the how the service of one of our founding members was inspired by her experience on the Titanic – but the pieces I love the most are about the day to day efforts of ordinary members of our community to make the world a more caring place. This leads me to this morning, when the Red Cross office here at 23rd and Chestnut was a little empty. Several people I work with were out attending the Montgomery County Heroes Breakfast. For the last couple years, I have had the pleasure of writing a short summary of the deeds of heroes in Bucks County for the program to be read by attendees. The Montgomery heroesare equally impressive. There is no way that one event could capture all the extraordinary things that we do for one another every day, but it’s important to remember that the honorees are representative of the rest of us and our “better angels”. Among them, Patricia Lloyd used her Red Cross training to save a five-year-old from choking to death at her school. Montgomery County police officers risked their lives to apprehend a dangerous fugitive and protect their community. Fire Chief Thomas Hayden rescued two women from a home engulfed in flames. Did you know that men like David Gartner give both blood and plasma several times a year, saving countless lives? I love telling these stories, which is why I keep coming back to this desk, despite an increasing busy professional schedule as my children age into their college years. The work we do is here is essential and important. The people who are trained to teach First Aid, who respond to emergency calls and who provide comfort to veterans and their families are deeply committed and caring. The world is an uncertain place and everyone here stays vigilant, just in case others need our help. It is an honor to sit at this keyboard. Yesterday, our toes took the rest of us down to the small parking area under our building for an important 11 AM meeting with Mr. Tyrone Johnson. We had no idea what to expect. The day before, we were informed of the meeting with a wink and secret smile and were told to contact Mr. Johnson 10-15 minutes ahead of our arrival. We found him lifting a large covered object down a short flight of concrete stairs and placing it in the parking area among several Red Cross mini-vans and other rescue vehicles. Mildly intimidated, we stepped back and watched Tyrone unveil an ERV in miniature, but not so miniature that it wasn’t capable of running over some toes if not controlled properly. It turns out, Ernie operators don a head set with a microphone that makes their ”Alvin the Chipmunk” altered voice sound like it’s emanating from Ernie, himself. That, way, our cute little ERV can charm or alarm small fry by addressing them himself! Tyrone is sweetly protective of Ernie. He says that when he inherited the enormous toy a few years back, he was in poor condition and barely operational. He cleaned him up, replaced some parts and the little ERV thrives under his care. He says that kids go crazy when they meet Ernie for the first time. They try to climb on him, ride him, touch him, hug him, open his back door and generally treat him to the same level of extreme abuse inflicted on all beloved toys. 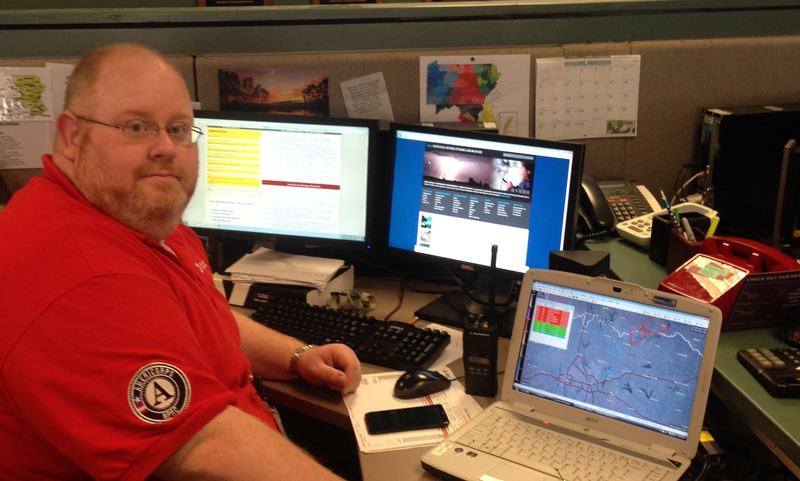 Yesterday, the American Red Cross and Dell unveiled the Digital Operations Center, utilizing social media trends to disperse validated information during a crisis and to accurately target areas that need help. Sounds great, but what does that mean for us? As a frequent visitor to social media forums, such as Facebook, Twitter & Tumblr, I wasn’t sure how this would serve me. I’m certain I could find vital information on my own when there’s a crisis at hand. But there is a bigger picture! In my junior year of college, I lived in a five-bedroom house with my close friends. As fun as it was, it could be chaotic at times. Different utilities were in different names; our landlord would communicate with us by calling only one of us at random; and notes to remind fellow housemates to do their assigned chores that week went unnoticed and were tossed in a shuffle of bills, flyers and take-out menus. Then, upon returning from winter break and our respective homes, someone took a trip to the dollar store. They bought a magnetic notepad to post messages from the landlord on the refrigerator, bright magnets designated for each utility bill, and a tray for each person’s letters and personal messages. The house was more organized and streamlined, and we could easily identify problems if and when they arose. 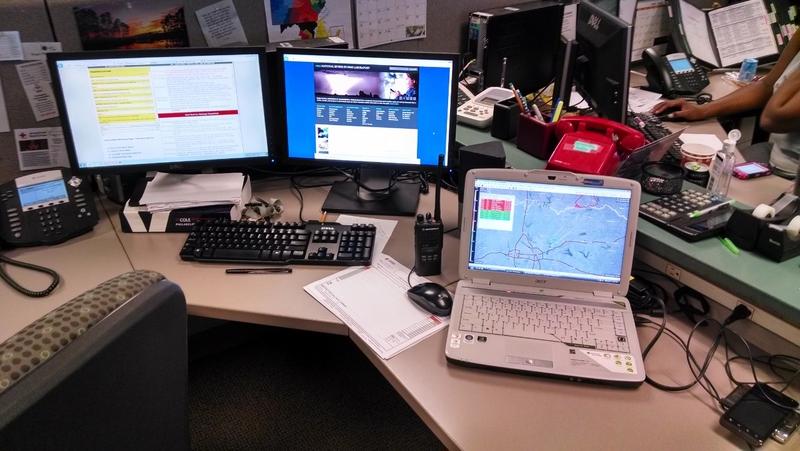 With the new Digital Operations Center, the public can work together with the Red Cross using social media forums to give in-the-field observations and to get answers to their questions, not to mention emotional support. Its function is a lot like the message system my roommates and I set up – we all knew our weekly chores and that we’d have to broadcast any news from our landlord, but the messages were clearer and more direct when they were sorted and organized for us. The Digital Operations Center will collect all those little status updates and tweets about an emergency or disaster, and use them to anticipate the needs of affected areas. For example, someone may post about a hurricane they drove through on their way home. The American Red Cross can respond with safety tips, list available shelters, and repost about the hurricane to inform neighboring communities. In addition, the Digital Operations Center can track trends in social media. They’ll be able to tell if an area is without electricity, or that another area is without water. That way, the Red Cross can avoid discrepancies and accurately assist those in need of water rather than shelter, or in need of blood donations rather than electricity. People on Facebook and Twitter can turn to this official source for updates, rather than relying on all the different information posted by their friends. Just about everyone is using social media these days, and now the Red Cross can actively listen for distress. The center is going to be powered by a new digital volunteer program, where volunteers around the country can respond to questions from the public and provide both critical information and reassurance. 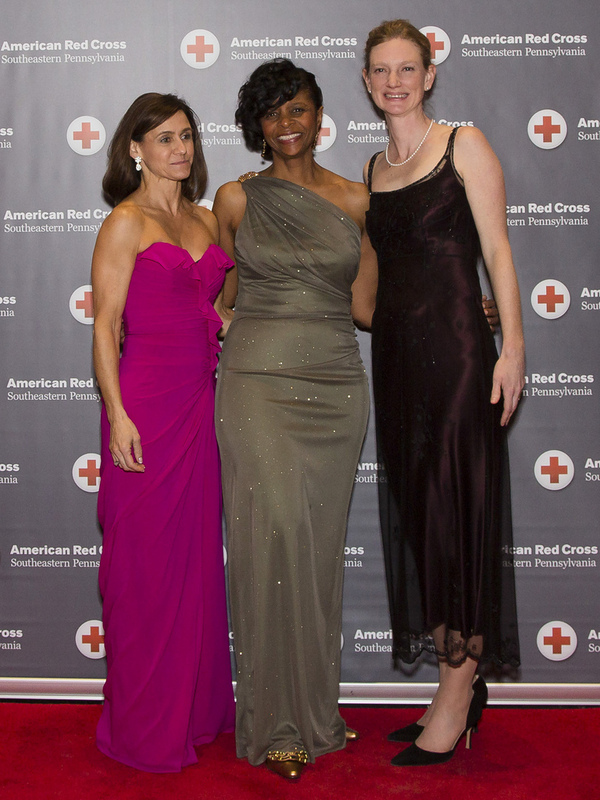 Welcome to the new blog of the American Red Cross of Southeastern Pennsylvania! Here, you will be able to find information on our upcoming events, and track what we’ve been up to lately. Soon, you will also be able to link to our Facebook and Twitter accounts, so that you’re never far out of the loop. Please drop by frequently as we continue to upgrade and improve the site.